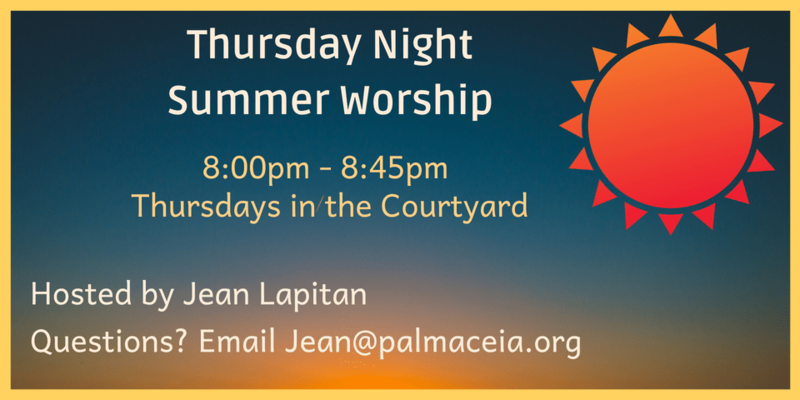 On Thursday evenings, 8:00 to 8:45 p.m. in the Courtyard. Led by Jean Lapitan. Questions? Email Jean Lapitan Jean@palmaceia.org.